Recent advances in antenna and RF circuit design have greatly reduced the crosstalk between the transmitter and receiver circuits on a wireless device, which enable radios to transmit and receive on the same frequency at the same time. Such a full duplex (FD) radio has the potential to double the spectral efficiency of a point-to-point radio link. However, the application of such a radio in a network has not been comprehensively analyzed. 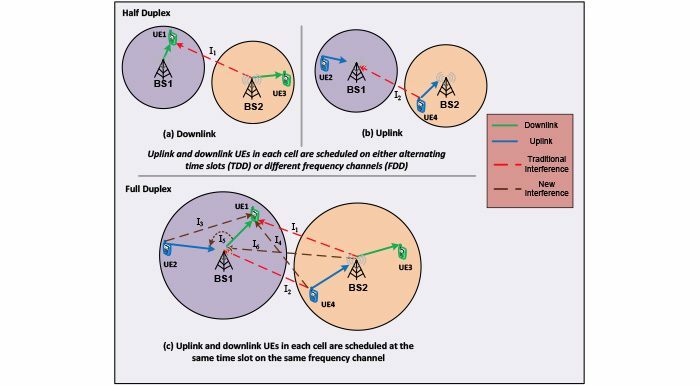 We observe that, without carefully planning, FD transmission might cause much higher interference in both uplink and downlink, which greatly limits the potential gains. Another limitation on full duplex systems arises from asymmetric downlink and uplink traffic, where the throughput gain is limited by the low traffic direction. 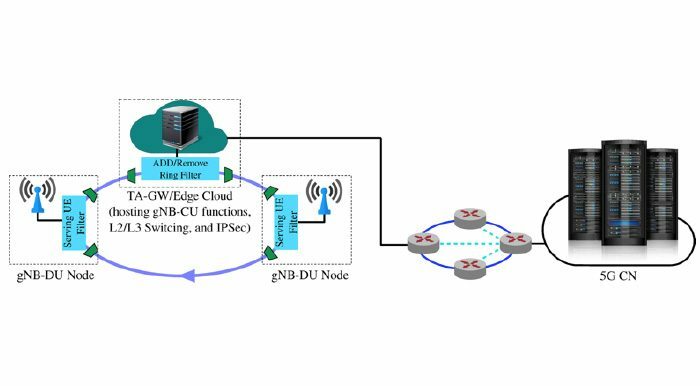 Researchers in NYU address the fundamental challenges when incorporating Full Duplex (FD) radios in a cellular network to unlock the full potential of FD communications. Specifically, three technologies will be developed for FD systems in a mobile cellular network: (i) a radio front-end that allows the MIMO gain be realized in conjunction with simultaneous bi-directional transmissions of data; (ii) a smart scheduler for base stations that coordinate the maximum set of transmissions with the least mutual interference, while maintaining fairness among UEs; (iii) a joint routing and scheduling algorithm that fully utilize FD-enabled relays. The technologies to be developed span PHY, MAC, and network layers, and jointly coordinate the air-interface and the backhaul. Goyal, Sanjay, et al. “Full duplex cellular systems: Will doubling interference prevent doubling capacity?.” IEEE Communications Magazine 53.5 (2015): 121-127. Goyal, Sanjay, Pei Liu, and Shivendra Panwar. “Scheduling and power allocation in self-backhauled full duplex small cells.” 2017 IEEE International Conference on Communications (ICC). IEEE, 2017. N. Shende, O. Gurbuz, E. Erkip (2018) Half-Duplex or Full-Duplex Communications: Degrees of Freedom Analysis under Self-Interference. IEEE Transaction on Wireless. Shenghe Xu, Pei Liu, Ran Wang and Shivendra S. Panwar (2019). Realtime Scheduling and PowerAllocation Using Deep Neural Networks. IEEE WCNC 2019. (Accepted).